Born in Bologna in 1940, Piretti studied at the Instituto Statale d' Arte there before working as an interior designer for Anonima Castelli. 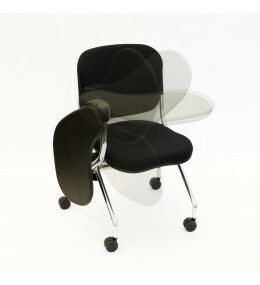 Over twelve years with Castelli, he developed countless breakthrough furniture designs, primarily in the field of seating. Later, he collaborated with Emilio Ambasz on more award-winning designs. Piretti introduced his eponymous collection in 1988 at NeoCon Chicago, a series with over 50 different office chairs and seating ensembles. Giancarlo Piretti’s work has been exhibited globally and honoured at the Museum of Modern Art in New York. Torsion on the Go! Chair: comfort meets versatility and convenience. With patented flex back mechanism.